Get in the spirit this holiday season by participating in all these wonderful Holiday Events in Lake Lure Chimney Rock. 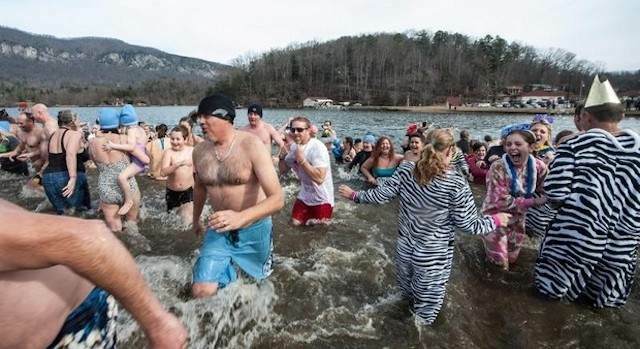 There’s an assortment of holiday happenings in and within a short drive around Lake Lure, NC. 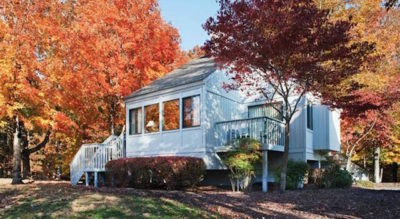 This is the perfect place to enjoy the mountain beauty and splendor of the season. The crisp mountain air and wonderful hospitality add to the family-fun and good times that will be had by all. Experience all the wonder and beauty of the holidays that this magical place has to offer. 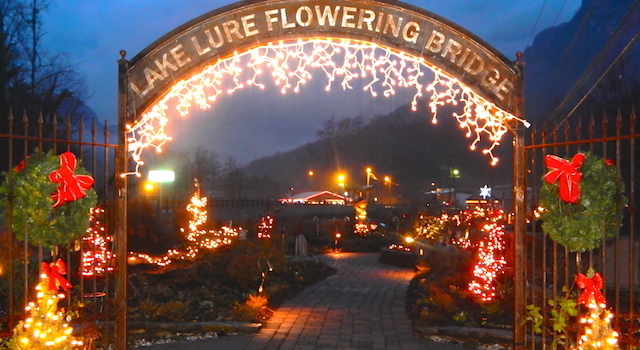 Each year for the holidays our beautiful Lake Lure Flowering Bridge transforms into a winter wonderland and comes alive with festive holiday lights, fairy gardens, fun decorations and more. The Lake Lure Flowering Bridge is the second of its kind in the country and is adorned with more than 700 species of plants and flowers for all to enjoy. The gracious and talented volunteers and Friends of the Flowering Bridge are constantly transforming the garden beds for every season. 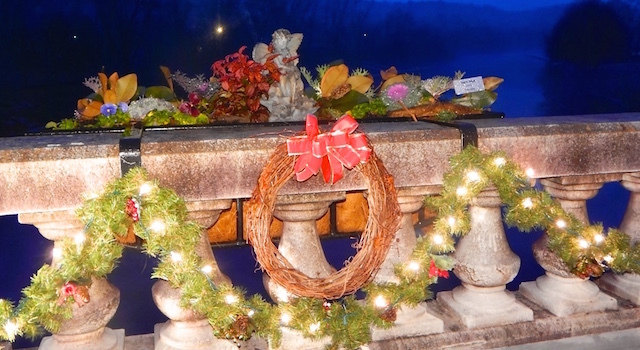 Be sure to come by and take a relaxing stroll along the Flowering Bridge — it’s sure to delight and will get you in the festive holiday spirit! You will be treated to music and you will have the opportunity to meet Santa and Mrs. Claus. The shops will also be open late so you can do some holiday shopping and stroll through the Village and look at all the beautiful Christmas decorations. 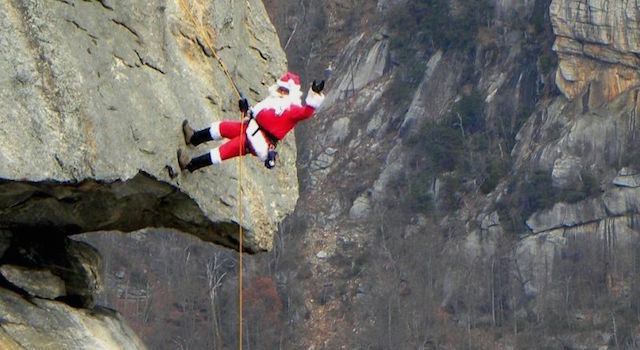 The holiday season in Lake Lure is never complete without the sights of Santa Claus repelling 200 feet from the most famous chimney of all, Chimney Rock at Chimney Rock State Park. Visit the park on the first two Saturday’s in December to witness the annual daring descent as Mr. Claus practices to sweep chimneys bringing presents to good children all around the world. Take joy in meeting Santa and Mrs. Claus, listen to live holiday music, sip on hot cocoa with cookies and have fun with kids’ activities. Plus meet live Park animal animals and educators. This unique event is included with park admission. This annual Hickory Nut Gorge Chamber fundraising event is quite the fun affair. 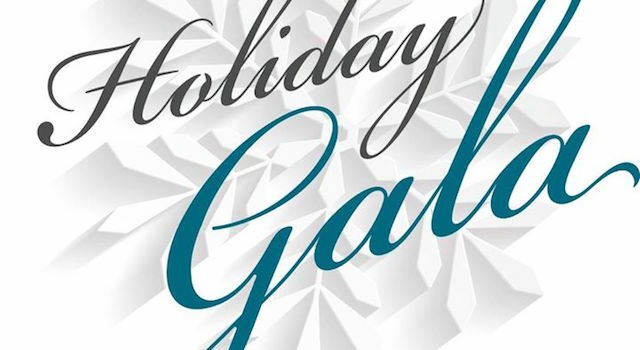 Get dressed up, enjoy great fun with friends, a delicious buffet dinner, music, dancing and a Gala Auction … all for a wonderful cause. The following places consistently host New Year’s Eve dinner specials, events and festivities. Check official sites for details in order to make your plans. Check back as we will continue to update our Christmas and Seasonal Fun post as we learn of more holiday happenings around Lake Lure. We hope you enjoy these wonderful Christmas events around Lake Lure and we wish you all the happiest of holidays. May you find joy in the little things and fill this Christmas season with special times and magical memories with family and friends! Cheers to a wonderful and prosperous New Year too!